TÁNAISTE JOAN BURTON has said that Dara Murphy’s apology is “the first step” as she reiterated that getting two on-duty gardaí to drive him from Cork to Dublin Airport was not the best use of police resources. 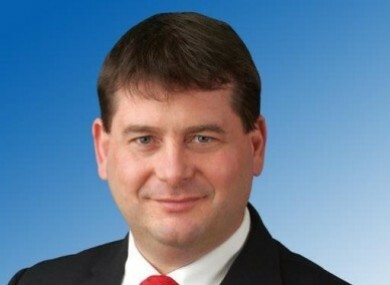 The Fine Gael junior minister has now apologised to people who think he wasted Garda resources after it emerged that two on-duty gardaí drove him over 200 kilometres to Dublin Airport for an early-morning flight earlier this month. Murphy sought help after his car broke down on the motorway outside Mitchelstown at around 3am on 13 September. He was travelling with his wife Tanya to Dublin Airport to catch a 6.40am flight to Brussels for an EU meeting on the refugee and migrant crisis. Amid claims he declined a taxi journey on the grounds of price, Murphy said the taxi driver who questioned his version of events was not telling the truth. Speaking to reporters at Dublin Castle this morning, Burton said that the minister’s apology was welcome, but would not answer questions on whether Murphy should repay the cost of petrol for the journey. She said: “I understand that Dara Murphy has actually apologised in the context of using the resources and I understand that there is a protocol which had been in place in relation to an emergency situation where he was going to an important meeting about migrants. I think his apology is welcome and I think it should be very clear in the future, it’s not the best use of police resources, particularly in rural areas where, at the moment, people are certainly nervous about the issue of criminal gangs who are riding around the countryside looking for where they can carry out opportunistic robberies. So I welcome his apology. No. The apology said very clearly that he believed that he was following the protocol which applied to this situation, but personally I don’t think it’s an appropriate use of policing and garda resources in the future. He has made his apology and I think it’s the first step, and it’s a proper step. Email “Joan Burton thinks this Fine Gael minister's garda dig-out wasn't a good idea”. Feedback on “Joan Burton thinks this Fine Gael minister's garda dig-out wasn't a good idea”.